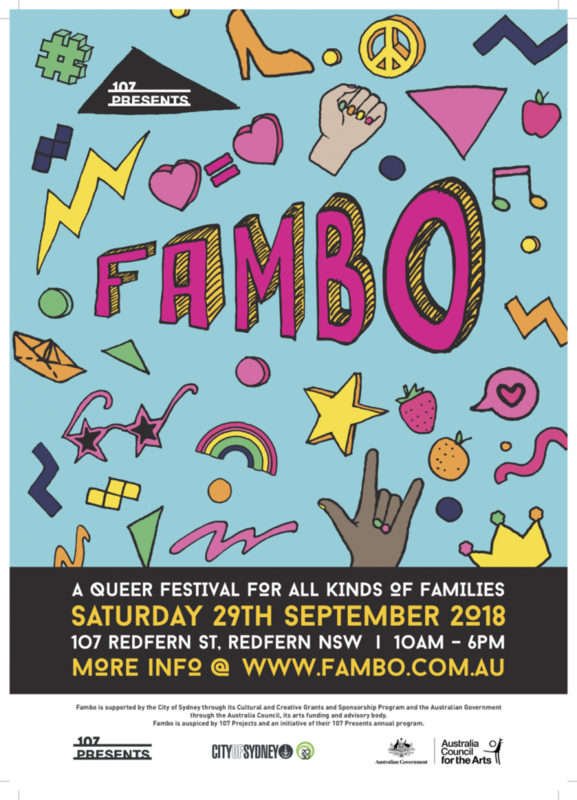 FAMBO IS A ONE DAY QUEER CONTEMPORARY ARTS FESTIVAL FOR LGBTIQA+ FAMILIES WITH CHILDREN AGED 4-12 YEARS. LGBTIQA+ identified artists across disciplines have been invited to create and lead workshops, activities and performances for young people and their families that celebrate the queer experience through connection, creation, participation and play. Offering a new and exciting opportunity for queer families to engage in queer contemporary arts and culture, Fambo is a first of its kind festival that seeks to bring together community in a space where gender is not binary or imposed, different bodies are not othered, and creative expression of self is encouraged, celebrated and safe.